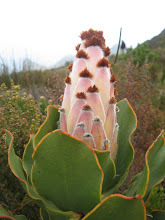 CREW, the Custodians of Rare and Endangered Wildflowers, is a programme that involves volunteers from the public in the monitoring and conservation of South Africa's threatened plants. Or see them on Facebook. Read this beautiful poem by Ralph Waldo Emerson. 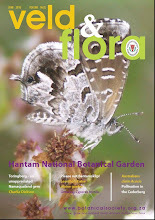 A new indigenous flower from South Africa! Find out more about this plant on iSpot. Buds of Leucospermum conocarpodendron subsp conocarpodendron starting to appear this July above Camps Bay. 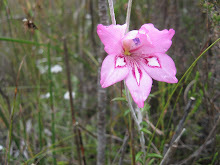 The April Fool flower growing this 1 April in Spes Bona forest.